Celebrating 70 years of Israel, Torah and the IDF! Birthdays are causes for celebrations, especially when you turn seventy! Dr. Shoshana Kloot from Melbourne, Australia, wanted her milestone to be celebrated in a memorable way surrounded by family and close friends. 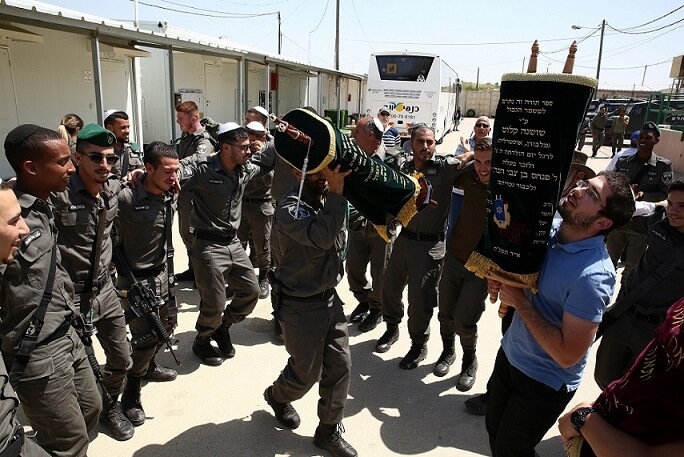 As such, she decided to donate a Sefer Torah in honor of her birthday to the defenders of Israel. Dr. Kloot fondly remembers celebrating her fifth birthday with the State of Israel – an experience that forever bonded her to the land. 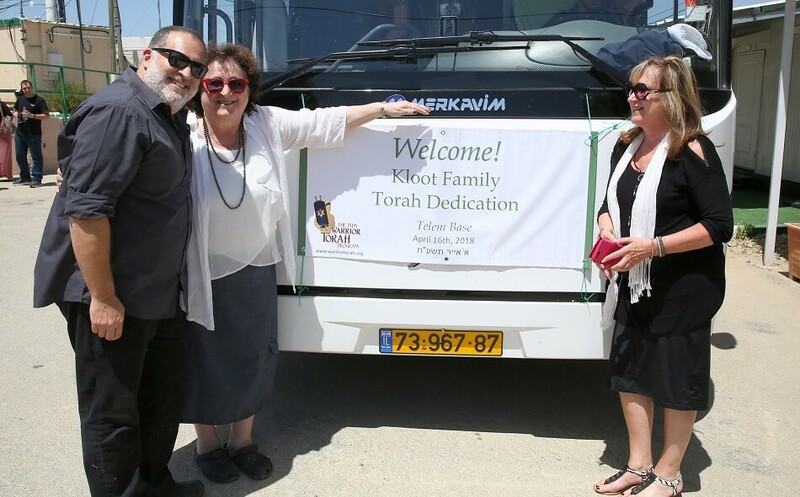 Naturally, she then wanted to continue showing her love for Eretz Israel and Torat Israel, bridging her past and future together with a very special Torah dedication. She did just that, on Monday April 16th, Erev Yom HaAtzmaut, in conjunction with the International Young Israel Movement (IYIM) – Warrior Torah program on the Mishmar HaGvul Telem base just outside Hebron. The date could not be more befitting for this unique dedication. Upon arrival, Yossi, the base commander, took her along with the entire entourage on a tour of the base. He explained the strategic and essential location of the area. Additionally, he emphasized the important roles of the soldiers serving in this unit as protecting the surrounding communities and preventing terrorists from infiltrating into the territory. A festive lunch was followed which was enjoyed by all. Then began the Hachnasat Sefer Torah procession with enthusiastic dancing and music. Soldiers of all ranks mixed with visitors from Australia and Israel as the Torah was greeted by its counterparts. 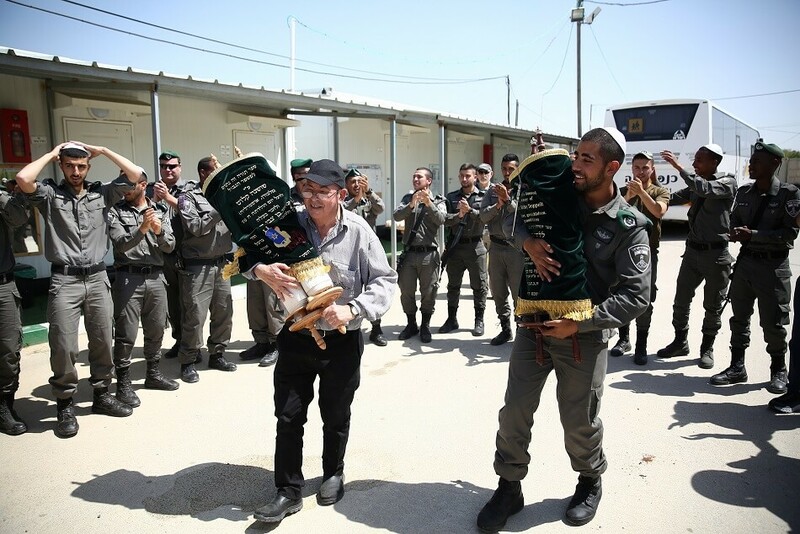 Music blasting, soldiers and family members danced with the new Sefer Torah and another Sefer Torah previously donated through the IYIM Warrior Torah program on the base. Everyone took turns holding it under the chuppah, while singing and dancing could be heard all throughout the base as the Torah made its way into the shul. Once inside the base’s synagogue, the singing and dancing continued. Then, Chief Sergeant Gil gave divrei Torah, followed by a speech and gift presentation by Daniel M. Meyer (Exec. Director of IYIM) and then the birthday girl herself, Shosh Kloot. Special divrei chizuk were given by Rabbi Boruch Zaichyk, formerly the Rav of Mizrachi Melbourne. The day concluded with a historic visit to Maarat HaMachpela in Hebron and a mincha prayer service. The celebrations continued on the bus as it made its way back to Modiin. 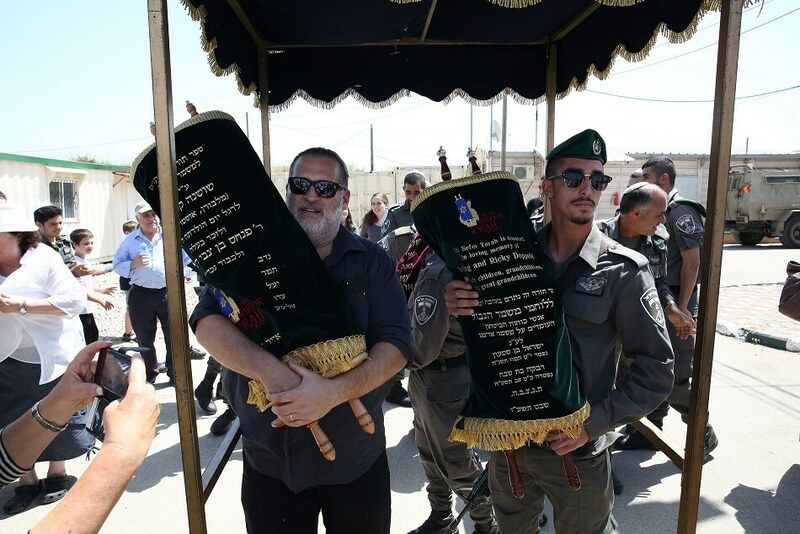 The Sefer Torah dedication ceremony was facilitated by the International Young Israel Movement (IYIM) – Warrior Torah program (www.warriortorah.org).